January 3: It’s time for the Tolkien Toast! 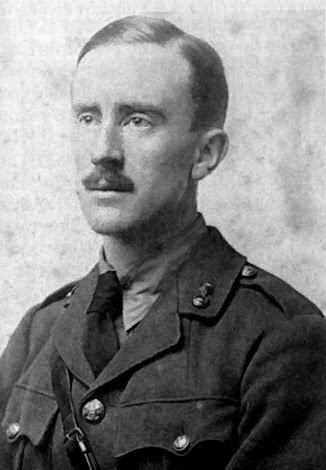 J. R. R. Tolkien was born on January 3, 1892 in Bloemfontein in the Orange Free State in South Africa to English parents. If he was still alive, today he would be 123 years old — and fast catching up on The Old Took! To celebrate this event, The Tolkien Society invites Tolkien fans around the world each year to raise a glass and toast the birthday of our much-loved author. When? Today: January 3 at 21:00 hours (9pm) in your local timezone. The Tolkien Soiety lists a number of Toast events occuring in cities across the world, including in London, Utrecht, Barcelona, and Jakarta. Portland fans can also celebrate the life and works of Tolkien on January 10 at an event happening at the Kennedy School as a fundraiser for the Oregon Food Bank. There will be music, and a screening of Peter Jackson’s Lord of the Rings film adaptatiom. For more details visit here. The Los Angeles Tolkien Forever smial will also bve holding a celebration at Ye Olde Kings Head Pub in Studio City from 6pm with the Toast at 9pm. Read all the details are here. Because this is an RSVP event, best get in touch with the Tolkien Forever admins if you plan on showing up (saves awkwardness!). TORn’s Hall of Fire chat will this weekend be having a special “What Tolkien and his works mean to me” discussion to celebrate J.R.R. Tolkien birthday. Join us in the chatroom from 5pm EST (New York time) today, January 3. Our One Last Party fundraiser on Indiegogo has passed the $100K mark and we’re pretty stoked! If you’d like to join us as a Party of Special Magnificence in Hollywood in February — a toast to all SIX Middle-earth movies, now is the time to back our campaign. Even if you can’t make it to Hollywood (or if you’ve already contributed), you can help out by retweeting or sharing our fundraiser across social media to get the word out. And if you pledge $10 or more before Monday Jan 5, you’ll go in our special draw to win a signed copy of The Children of Hurin. Visit our campaign page to see how you can help.